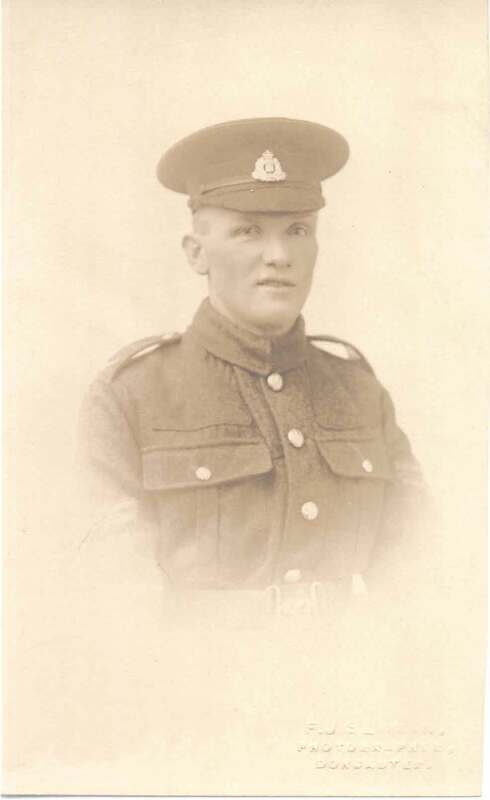 According to the Photo Sleuth, Frederick Joseph Seaman operated a photography studio in Doncaster between 1915-1926. So, there are some clues, which together with details of his uniform may lead to this soldier’s identification. In the meantime, I’ll remember him as an unidentified soldier. He wore his country’s uniform. That alone should be enough. But he also was someone’s son. He could have been a brother, husband, father, best friend, or all of these. The sights he may have seen, deeds witness or done. I hope somewhere that this same picture is a treasured keepsake.